We are glad to inform all of our users that the new release of proRM Business Solutions is available starting 21 September 2015. For this version, proRM developers were faced with a comprehensive and diverse task. Working on the release, the development team had to focus not only on the optimization of existing applications, of which there are already 22, but also on the improvement of usability. 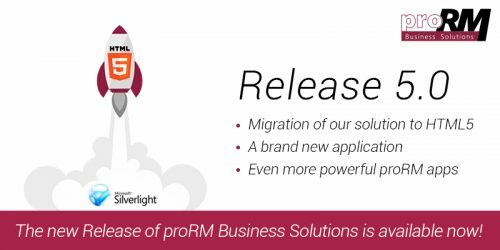 Within this new release, proMX GmbH extended the range of the current proRM Business Solutions applications and are proud to present a brand new app, proRM Sales Assistant, for your successful sales management. 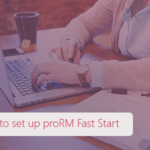 proRM Sales Assistant is a useful and effective application, which allows for creating a project structure directly from Opportunities, Order or Quote using added Products. The user is able to add Products to the Record, specify details like Names, Unit, Price per Unit and subsequently assign these to the Resources. As a result, in only one click the project is created direct out of the created product structure including subprojects, project resources and line items. And last, but certainly not least, the proRM Sales Assistant is the first application from proMX developed to utilize HTML5. 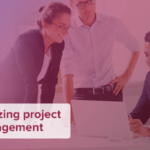 Time doesn’t stand still, and modern business software is now able to solve more and more problems related to project and resource management. Furthermore, it provides users with the constantly updated options for successful project processing. We listen to the opinions of our customers regarding possible improvement of our solutions and take all the feedback into account. Within the current release, all the bugs of the previous version were successfully eliminated and application usability and performance were significantly improved and increased. Users will discover additional features in such applications as Bulk Booking, Tracking, Controlling Manager, Budget Planning, Approval Manager, Invoicing Manager and Mobile Client as well. proMX GmbH achieved a significant, new partner status and is now a Microsoft Cloud Solution Provider. This position gives Microsoft partners additional opportunities for customer acquisition and support.